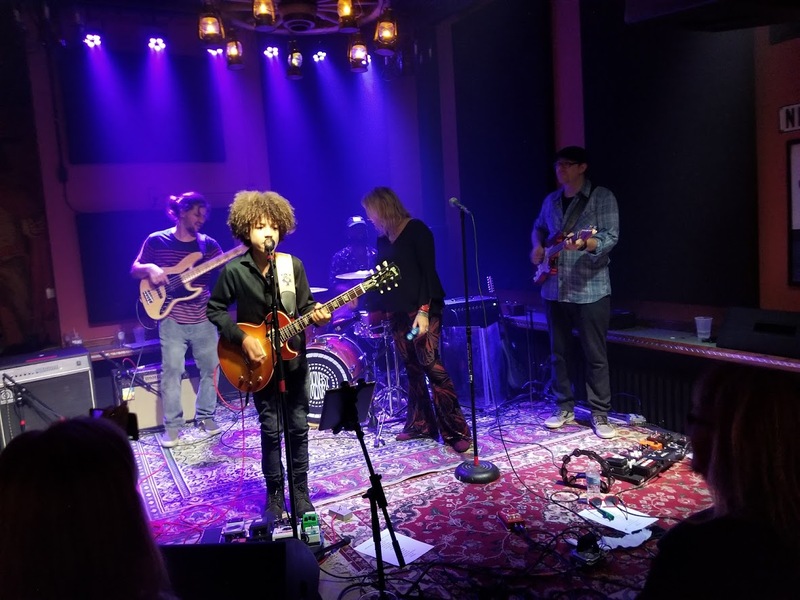 Kevin Black Presents welcomes 14 year old guitar virtuoso and star of School of Rock the Musical on Broadway, Brandon "Taz' Niederauer at The Range Friday, Oct 13th. Playing with some of the biggest names in the industry, Brandon's guitar performances have been captivating audiences across the nation. Come see why he is slotted to be the next greatest guitarist of our era. Tickets are $12 Adv/ $15 Dos and will be available at The Range, Ithaca Guitar Works, and Online. Don't miss your chance to see this guitar legend on his rise to the top! It started when Brandon watched the movie School of Rock at eight-years-old. Also inspired by his father’s record collection, he instantly realized he wanted to play guitar. Four years later, he was cast as the principle role of guitarist “Zack Mooneyham” in the Tony Award- nominated Andrew Lloyd Webber Broadway production, School of Rock the Musical at the Winter Garden Theatre. Living in New York City welcomes great opportunity for Brandon to play with some of his most idolized musicians. He’s had the brilliant experiences of playing with members of the Allman Brothers Band including Gregg Allman, Butch Trucks, Warren Haynes, Derek Trucks, and Oteil Burbridge, as well as other notable musicians such as Buddy Guy, Stevie Nicks, Lady Gaga, Slash, Jon Batiste, Dweezil Zappa, Eric Gales, George Clinton & Parliament Funkadelic, Dr. John, Otis Taylor, Gary Clark Jr., Col. Bruce Hampton, Eric Krasno, George Porter Jr., Robert Randolph, Karl Denson, Doug Wimbish, John Popper, and countless others. He has also played with Umphrey's McGee, Scorpions, Dumpstaphunk, The Revivalists, Galactic, and so many more. Amongst The Monks is a 4-piece Rock/ Blues/ Funk/ Jazz group with jam band influences that started in Corning, NY. They thrive on their passion of playing, jamming & recording music. Music is a lifestyle just as much as it is a passion for each member, who are all multi-instrumentalists. They have quickly made a name for themselves in New York and Pennsylvania for such a young group and guarantee to keep you moving out of your seat.